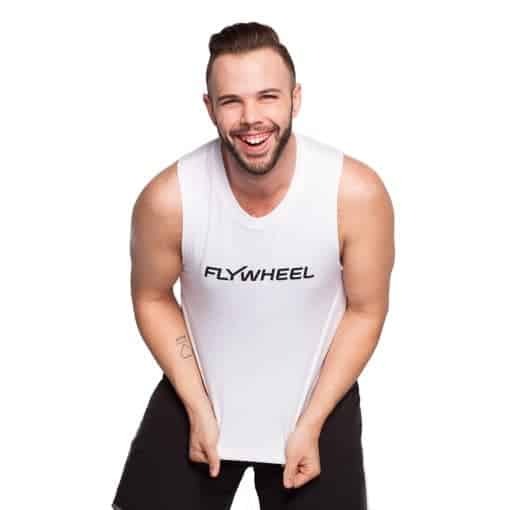 Thomas Renner comes to you from Flywheel Sports where he motivates and inspires riders daily. He graduated from the Boston Conservatory with a degree in Musical Theatre. He found his passion for fitness through teaching dance upon his return to Dallas after school. It was then he decided his career path was more suited in motivational fitness. In his free time, you’ll find him at the gym, seeing a movie, eating Sour Patch Kids, and watching the Bachelor! He’s thrilled to once again contribute his passion and energy to this amazing organization! Many thanks to my Mother for giving me her strength as she is a two time breast cancer survivor! Read more about Thomas here.